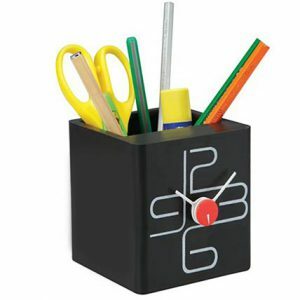 A pen stand to keep your pens, pencils, small scales, scissors, knife, etc. is necessary to be kept on your workstation. This pen stand is made up of wood and has a cute clock like look. Design your office table or work table at home with this item.